Comment: This is a Condominium approx. 1340 sq.ft. it has 2 bed and 2 bath, ranch style, with a large garage under the Condo with (stair access to Condo). Additional or extra room (poss. office or work out room) down stairs, off from the garage. Comment: I am preparing a family home for sale. I have not lived in the home for over 25 years and therefore am not familiar with its true condition. 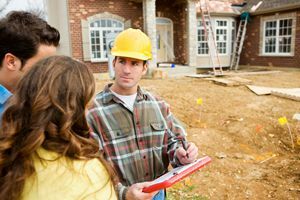 I would like a home inspection to help quantify any issues so that I can decide which approach to take in the sale of the home. Thank you. Comment: We are looking to downsize and want a pre-sale inspection of our home to alert us to any serious issues that need to be addressed. Comment: home inspection for real estate transaction. Grand Blanc Home Inspectors are rated 4.81 out of 5 based on 374 reviews of 22 pros. Not Looking for Home Inspection Contractors in Grand Blanc, MI?